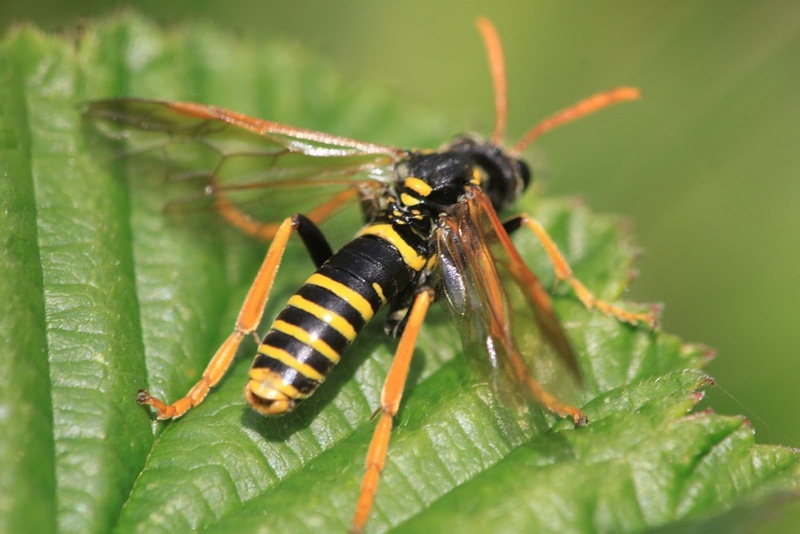 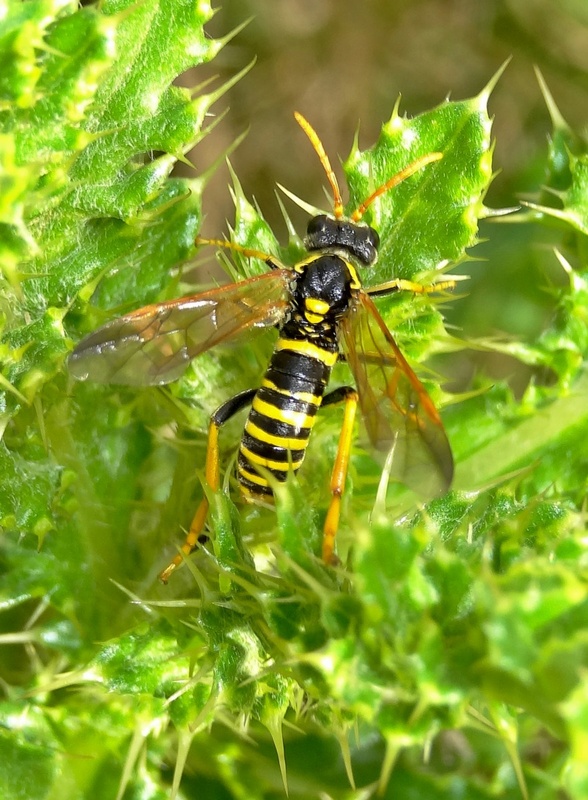 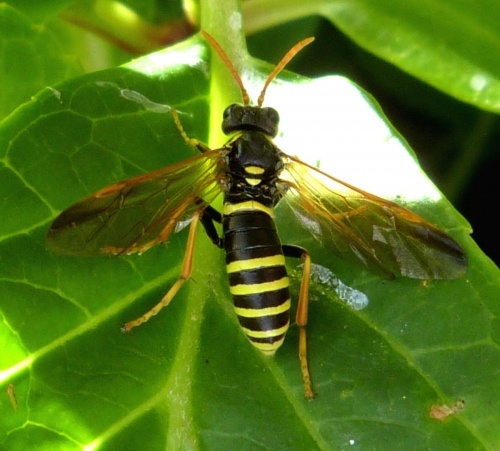 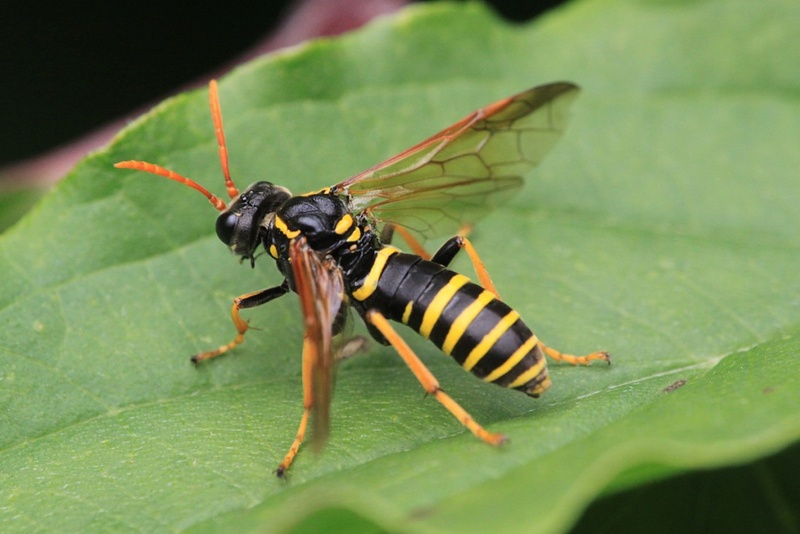 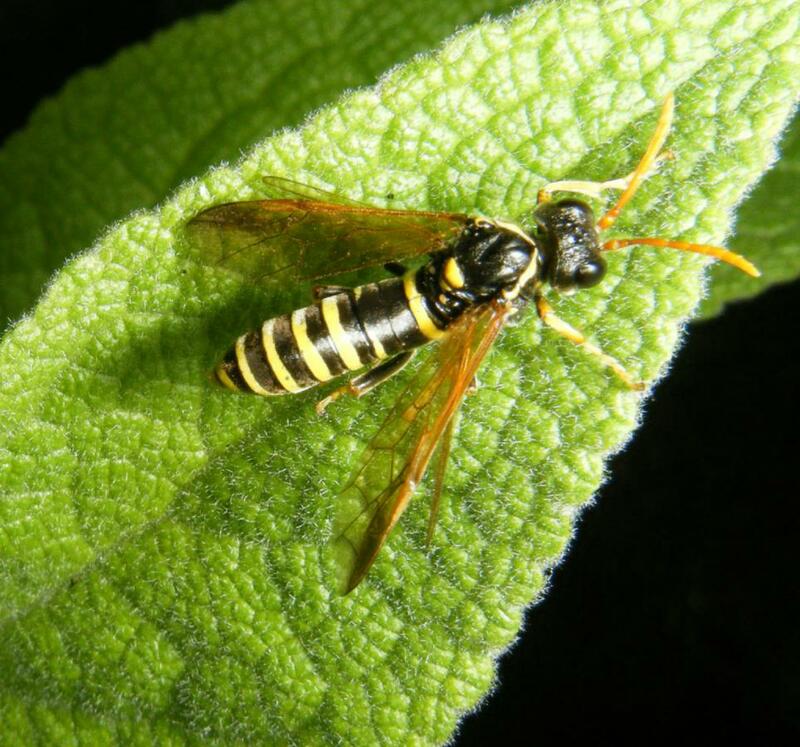 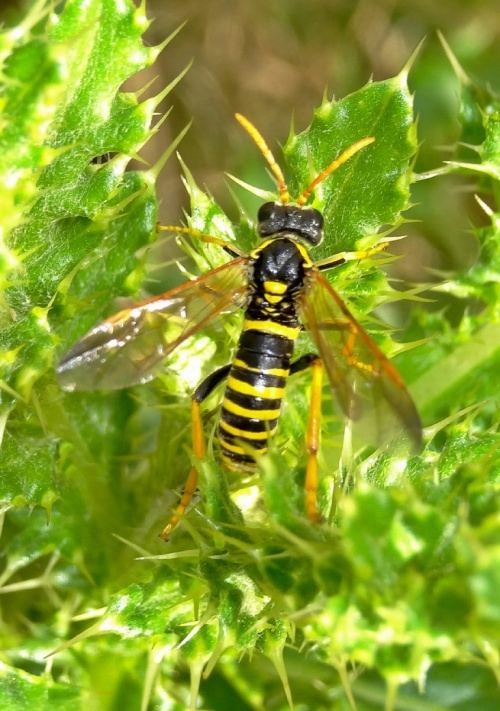 The black and yellow stripes also feature on sawflies in the Tenthredo arcuata group - but none of these have orange antennae. 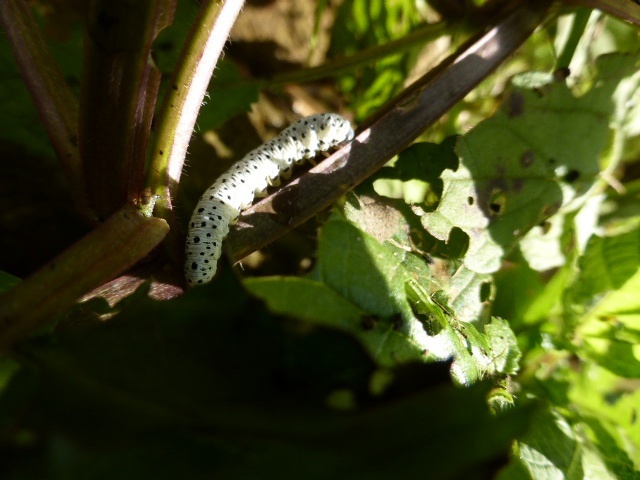 Any habitat where Figwort plants are present. 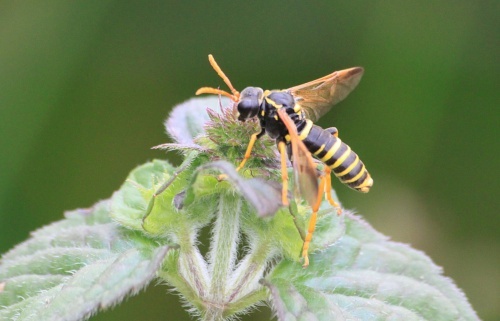 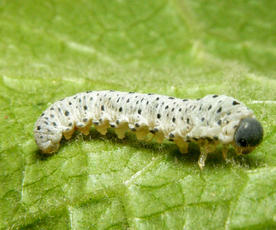 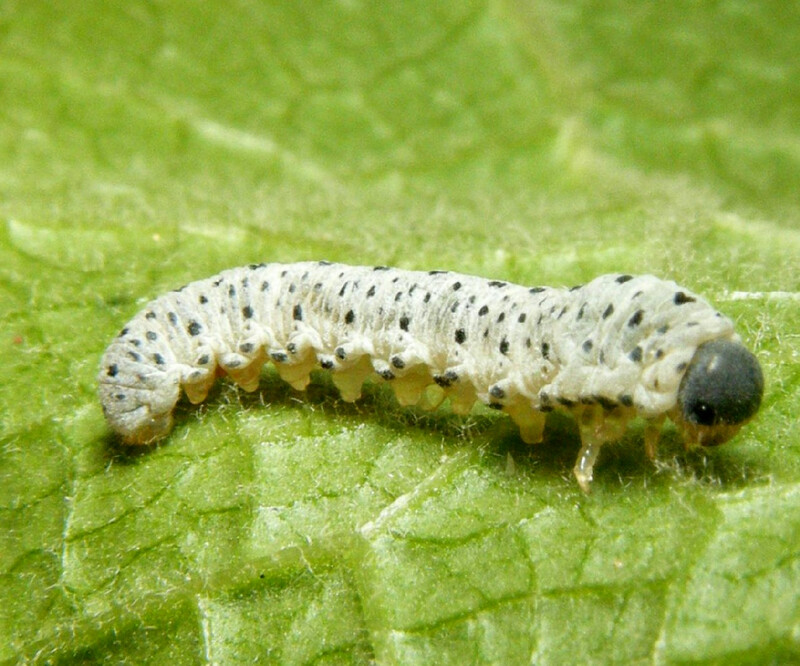 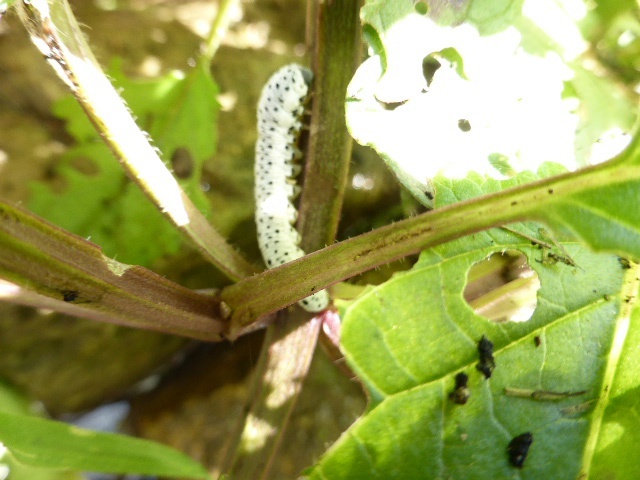 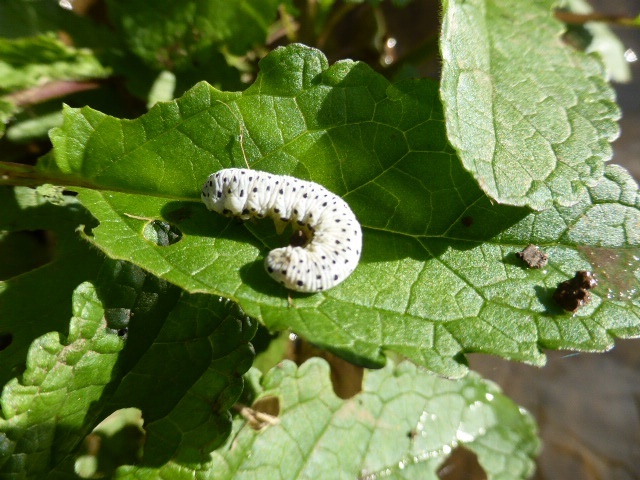 The larvae feed on Figwort plants and are usually seen in August and September. The adults are carnivores mainly, hunting small flies and other insects. 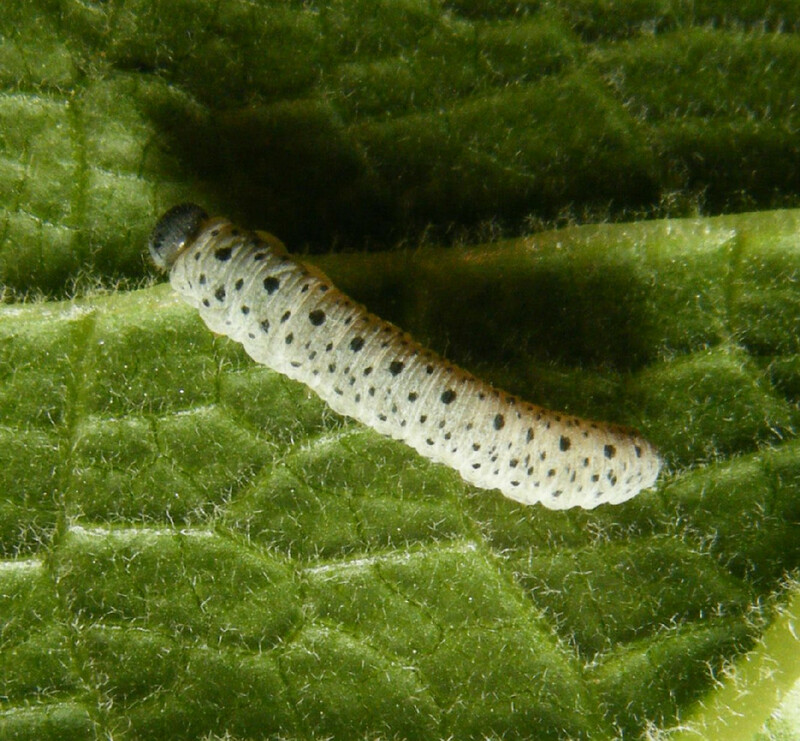 Widely distributed and fairly common with most British records coming from England.